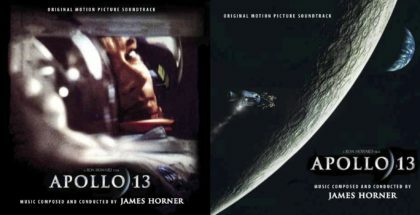 For his second collaboration with Ron Howard (after Cocoon), James Horner was tasked with composing the then-longest score of his career. The fantasy film, produced by George Lucas, is about a diminutive Elwyn who rises from his humble peasant origins to become the sorcerer-hero who defeats the evil queen Bavmorda and her cohorts of henchmen, led by Pat Roach’s imposing general Kael. 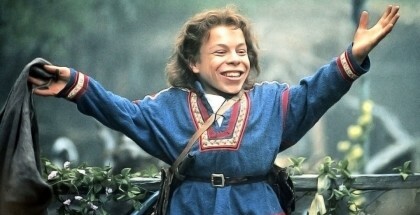 The film’s opening sequence traces the first travels of Elora Danan, from her prophesized birth in the dungeons of Bavmorda’s castle, a midwife smuggling the child out of captivity and Elora’s arrival in the land of the Elwyns, good-hearted dwarfs. 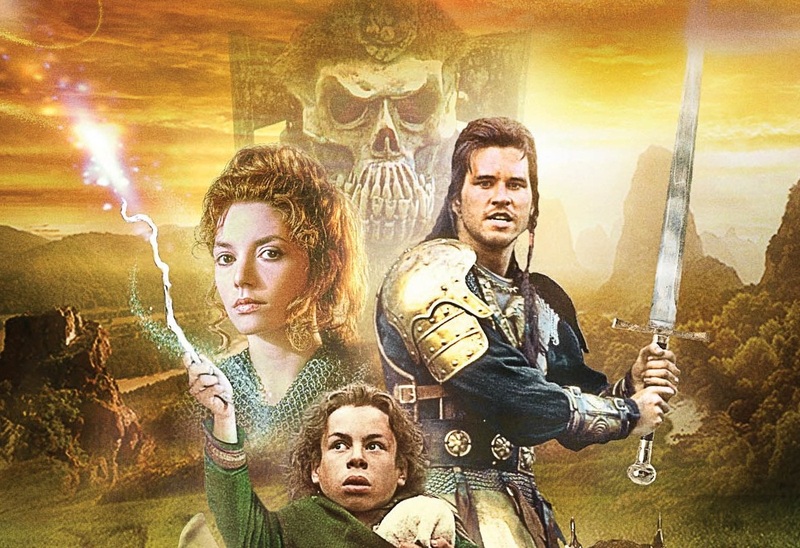 One of them, Willow Ufgood, reluctantly takes the child in and half-heartedly embarks on a perilous journey to defeat queen Bavmorda, rid the world of evil and become the heroic sorcerer he has always dreamed of. For the sake of clarity, the timings mentioned in this text reflect both the film and the album, since Elora Danan is the opening cue of both. As nearly always, though, the music plays at a slightly faster pitch in the movie, and I have based my timings on that. First among the four musical ideas Horner rotates in Elora Danan are a pair of related motifs. One is the now-famous four-note motif that he applies to all the characters inhabiting the realm of evil: the monstrous dog-like creatures that kill the midwife, queen Bavmorda, general Kael and so on. The idea is typically scored for growling brass. The second is the three-note magic motif, remarkably a major-key variant of the four-note motif with simply the first note dropped. It bookends the score and is usually performed by the boys and women of the King’s College Choir of Wimbledon. Horner’s choice to have these antithetic motifs descend from a common musical lineage may sound surprising at first, but he is not the first artist to resolve the antithesis of good and evil in some kind of a synthesis (to borrow terminology from German philosopher Hegel’s famous dialectic). Fascinatingly, this is not the only time Horner establishes a link between good and evil in this cue. Later on, the Shakuhachi (a Japanese wood flute Horner was obsessed with) is used prominently in both the glorious presentation of the Elora Danan theme, and mere seconds later, within the fabric of the atonal action music that accompanies Bavmorda’s dogs chasing down and killing the midwife. © 1988 Imagine Entertainment / Lucasfilm / Metro-Goldwyn-Mayer. All Rights Reserved. Horner’s decision not only showcases the versatility of the instrument (both exquisitely beautiful and deeply menacing), it shows the composer interjecting a meaningful thought of his own. Obviously, this synthesis between good and evil never occurs in the movie, which is typically fluffy Hollywood fare that cannot reasonably be faulted for not having these philosophical pretentions, but Horner evidently does play with the idea. 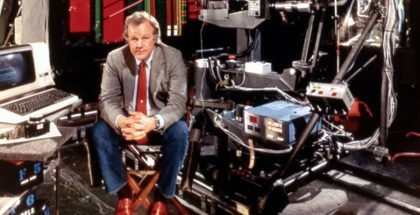 It shows that individual areas of film making, while generally remaining at the service of the story, can go off on unexpected tangents of their own. 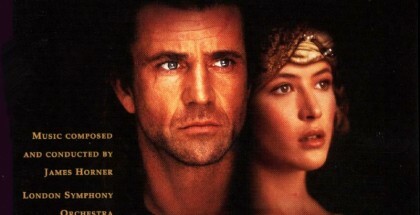 Put simply, James Horner’s score is far more intelligent here than the movie. The third idea is a series of brass and choral progressions for queen Bavmorda. It is another malleable portrayal of darkness that Horner uses to offset the hopeful tone of the themes of light. This brings us to an antithesis that Horner quite definitely does not resolve: light versus dark. The first minutes of the cue in particular offer an outstandingly orchestrated if necessarily understated battle of light versus dark, with certain instruments (the choir, the violins) confined to the forces of light and others (brass, low strings) used only for the forces of dark. This confrontation is subtle, both by necessity (the first minutes are littered with expository dialogue) and because Horner appropriately uses it as a careful dramatic build-up to the first glorious statement of theme later on. The fourth idea is the melody for Elora Danan herself. It is the score’s main theme and its most memorable one, appropriately so for the character whose birth is prophesized to bring back order to the world. Ironically, though, the little critter is given absolutely nothing to do in the story: it’s taken on a wild ride and ends up on Bavmorda’s dissecting table, only to be saved by Willow’s disappearing trick, but all the audience takes away from the toddler is her endearing and occasionally wide-eyed stare. 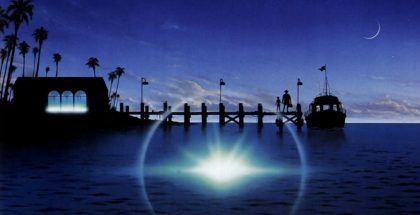 This irony set aside, Elora Danan’s theme blew me off my socks when I first heard it back in 1988 and eighteen years later, it remains the single most beautiful theme I have ever heard, in film music or anywhere else. It is an adaptation of a Bulgarian harvest song called Mari Stanke Le (here’s a Youtube link) but it would be wholly unfair to cheapen Horner’s achievement by summarily discarding it as a piece of plagiarism. To do so would fail to take into account the wonders Horner works with the material, transforming it into an unforgettable identity for Shakuhachi and full symphony orchestra (in this case The London Symphony, Horner’s troupe of choice at the time). 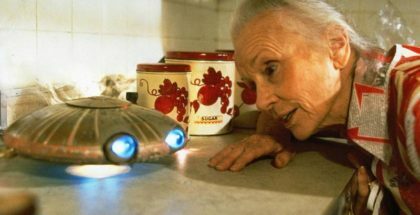 Horner’s use of the theme over the movie’s title and subsequent main credits roll exudes an emotional scope and resonance that is absent from its eastern European origins. As such, it thoroughly transcends the notion of plagiarism. 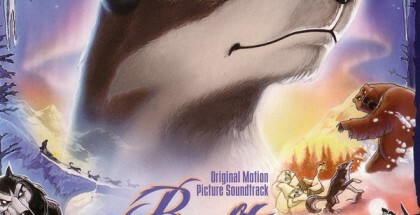 The fifth and final idea (again, apart from Madmartigan’s boisterous hero theme) is an endearing melody for the movie’s titular hero, Willow Ufgood. It is lyrical, unassuming and beautifully orchestrated for flute, and in the opening cue alone, Horner the storyteller uses it in surprising ways. Roughly the first two minutes (0:00-2:18) offer the understated battle between the forces of dark and light. The score opens with the three-note magic motif in the choir over a single sustained string note, only to be subverted by Bavmorda’s material and the four-note motif, which grows angrier with every new statement. Young film composers, especially in Hollywood, learn a couple of tricks very early on. One of them is to put greater emphasis on the bass region while recording the score (to avoid the music sounding “flat” in the picture), another is to tailor the music very closely to the visuals. Hitting numerous sync points makes it harder for the filmmakers to edit the score during post-production tinkering. The disadvantage is, of course, that the music has a hard time “breathing”. In this respect, Horner was always bold. 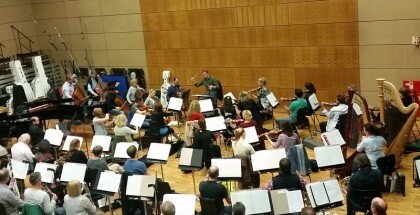 Not only did he fancy recording lengthy cues in single takes, he also did not hesitate to drop the mickey-mousing approach whenever possible, allowing the score to flow in purely musical fashion. During these first two minutes, he uses the four-note motif as a structural marker (timing it to coincide with editing cuts), but only to a certain extent, and certainly not with the split-second precision required by action scenes. Rather, Horner plays the two minutes as a loosely synchronized bit of exposition of its own, setting up a general mood while at the same time doing plenty of interesting stuff from a purely musical perspective. Thinking she has found the baby, Bavmorda discovers the midwife’s deceit, at which point Elora Danan’s mother shouts defiantly: “Your reign of evil is at an end. She will come back and finish you!” In a delightful moment of cinematic pathos, Jean Marsh’s Bavmorda slowly turns her head and whispers: “Kill her.” Horner responds with the most malevolent statement yet of the four-note motif and Evil seems to carry the day. This bit is designed to offer maximum contrast with what comes next: the choir performing portions of the magic motif seguing into a devastatingly beautiful double statement of Elora Danan’s theme. Appropriately, Horner times the first cymbal crash to coincide with the appearance of the movie’s title, and for these glorious forty seconds, he has the sound mix all to himself. Sound effects (chirping birds) do not re-appear until around 3:08, Horner segues to the B–theme portion of the melody, and twelve seconds later, he greets the distant barking of Bavmorda’s dogs with another tonal shift, subtle at first and spectacular from 3:24 onwards, the ferocious action music ushered in by several intensifying statements of the four-note motif. Stealing The Enterprise is the crown jewel of Horner’s Star Trek: The Search for Spock score. 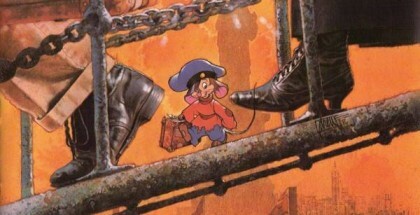 The secret of the cue’s success is Horner’s persistent use of fast-moving music over slow visuals and static dialogue. He does the same during the attack of the death dogs in Elora Danan: even when the midwife is seen wading through a river she is trying to cross, the music moves along at breakneck speed, Horner creating disparate rhythmic layers in seemingly every section of the orchestra, keeping the whole thing together with a sequence of four string notes, which ultimately and appropriately disintegrate into total chaos as the midwife is chewed to death. Horner dutifully hits one or two sync points but proudly plays through most of the cuts, relaxing slowly during (and long after) a dissolve (at 4:19) to the baby drifting on the river as it meanders through stunningly beautiful scenery. Only at 4:42 does he revisit the choir for hints of the magic motif and it is during this brief moment of utter peacefulness that the card “Music Composed by James Horner” appears on screen (the credits are still rolling). At 5:02 there’s a soft sequence of string notes that accompany the baby as it washes up on the shore. Quite elegantly, Horner has the last two notes of the line gently coinciding with a shot of the improvised raft washing up on the shore, getting wedged in between leaves and branches, and a bird’s eye view of Elora looking up. In a nice bit of continuity editing, we see what has caught her attention: a bird high up in the tree, which Horner mimics with serene playing by the Shakuhachi. Elora’s point of view shifts from the trees to the ground, where she notices Mims and Ranon, two Elwyn children looking at this strange Daikini baby from the shore. Horner affords the three children tender lines for bubbling oboe and triangle. At 5:39, Horner uses a shot of Elora frowning as the downbeat for the first performance of the Willow theme, which he brings in at 5:41 as we see the Elwyn ploughing the fields. For the next forty-five seconds, he rotates the Willow theme on the flute between woodwind instruments, ensemble string and choral interludes. 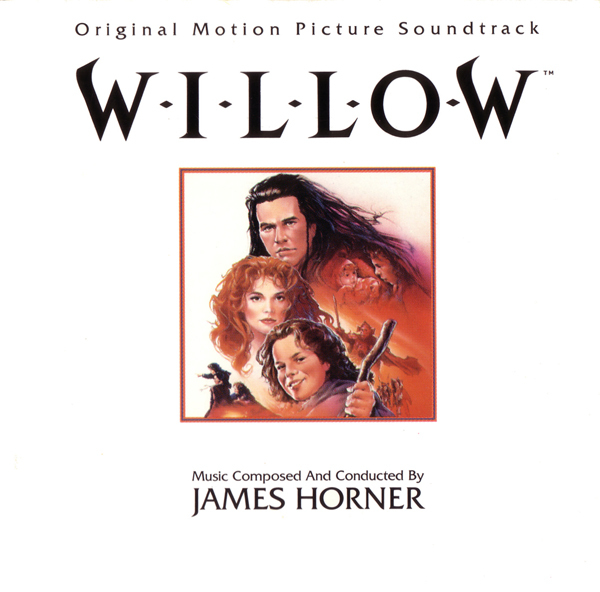 In a brilliant stroke, the second complete statement of the Willow theme starts on a cut to Elora Danan, Horner connecting the two characters right from the get-go. At this point, Willow suggests pushing the Daikini baby back onto the river and not telling anyone about her! 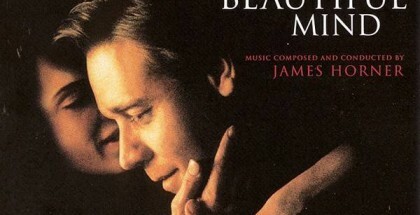 The moment may be short and the effect is obviously ruined on the soundtrack album, where the music is separated from the visuals, but this part of the thematic narrative is further proof of James Horner’s astute psychological insight – and one of the reasons why you can only fully appreciate the value of a score when you analyze it as a part of the movie. At 7:40, Willow returns to the shore, only to find his wife Kaya holding Elora in her arms. His stern warnings that none of the family members are to fall in love with the baby go wholly unnoticed, of course, and with his serene flute theme and string material, Horner resolutely sides with Kaya and the children, who ignore Willow and take the baby home. At 8:26, Kaya discovers strange markings on the inside of Elora’s right arm. It’s a moment that is as subtle as it is portentous, and Horner resorts to orchestration as a tool for accenting it. He scores it with a few notes for the horn, the instrument’s nobility perfectly suited to the mysterious gravitas of the moment. And in an amazing piece of storytelling, Horner pulls out the horn again for the cue’s final notes, after Kaya puts Elora into Willow’s arms and both characters finally look each other in the eyes. This second series of four horn notes is preceded by a single sustained string note, which makes them stand out that much more. And then, as elegantly as anything he ever did, Horner finishes the cue with two plucks of the strings, one for a shot of Elora Danan and another one for a shot of Willow. The first leg of Elora Danan’s long journey is over: she has reached the hero-to-be who will steer her safely through the many dangers ahead. It makes sense to spot the cue the way Horner did: a fantasy film supports music from the get-go, and at 9:21 into the movie, its exposition phase is over. The next morning, Willow leaves for town, hoping the High Aldwin, the local sorcerer, will pick him as his new apprentice. This is a new chapter in the script (it’s called the Catalyst in screenwriter speak) and Horner would have been wrong not to allow for a break in the musical narrative at this point. As mentioned before, the magic motif over the sustained string note is the musical device that starts and ends the score and the movie (again, something you will only realize in the film if you sit through the entire end credit crawl – and why wouldn’t you, it’s where Horner presents the definitive statement of the Elora Danan theme! ), which again shows this composer’s keen sense of musical and narrative structure. 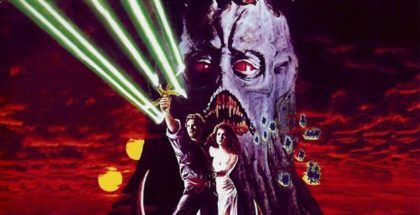 As you will have gathered from this article, Elora Danan’s lasting legacy is about many things, but most of all the cue should be remembered as one of the most successful marriages of visuals and music: James Horner paints bold strokes when necessary, he uses themes to tell his own interesting narrative, adding several layers of meaning that were not present in the film prior to his involvement, and most importantly: he strikes a damn near perfect balance between tailoring his cue to the visuals (hitting all the right sync points) and composing a movement of pure music. 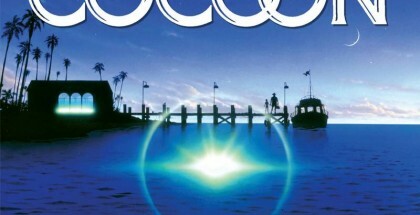 This is music that succeeds admirably on two levels: it is an outstanding storytelling device, seamlessly integrated into and surprisingly elevating the sequence of events that unfold on-screen, but it is also the glorious musical experience that kicks off Virgin’s stellar soundtrack album, where the timeless themes and the amazingly delicate orchestrations become the chief asset. Over the past eighteen years, I have passed my CD along to just about everyone I can think of, including experts of classical music, and every single one of them has sung this cue’s praises. Photo credits: © 1988 Imagine Entertainment / Lucasfilm / Metro-Goldwyn-Mayer.